I squeezed off this photo from Sable Pass through the bus window on our way out of the park. I wish the bus driver would have stopped more often for photos of scenery like this. Alas, it was a wildlife tour and we did see lots of wildlife; six Grizzly Bears and lots of Caribou and Dall Sheep! 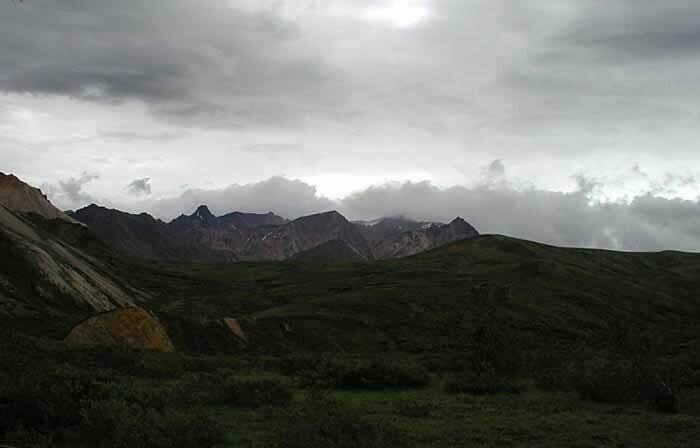 That's all for this photo tour of Denali Park. I hope you enjoyed it.